Living in this modern world, a lot of things have changed and adapted. 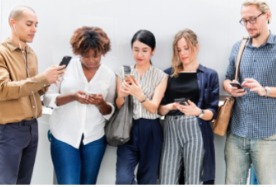 Instead of the classic ways of advertising and marketing mix such as newspapers, radio, flyers, and television, there is now a rise in posts, display banners, and sponsored articles. Scrolling through your social media feeds has evolved from practicality to real, purposeful self marketing. It is really effective in a lot of ways because social media is used by almost everyone around the world. Moreover, it is easy to access and easily spreadable with just a click of a button. 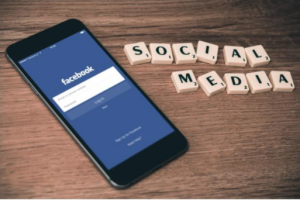 This article will give out information on the importance of social media marketing in order to encourage other business owners to try this new and innovative way of marketing. Basically, social media marketing is the process of gaining traffic or attention through various social media sites on the internet. When we say ‘social media’, it is an umbrella term for all the websites that involve a social action. Social media marketing is the use of social media platforms to endorse, advertise, and market various products to the people. Examples of social media sites include, but are not limited to Facebook, Twitter, Instagram, and Snapchat. Almost 90 percent of marketers swear that social media marketing has increased the exposure for their business and almost 75 percent of them also said that using social media also increased their online traffic. Social media is truly important in this time and age when it comes to marketing. Whether your business is just home-based or a big national company, it is still not enough if it does not have the social media presence to reach thousands of users online. Nowadays, social media is an essential part of business strategy. With over 4.2 billion users around the world as of January 2018, it really pays to have a social media account to interact, communicate, and constantly update your customers. 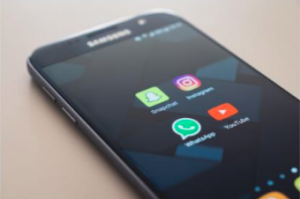 If you are still not convinced with these, here are some more reasons to try and use social media marketing for your business. Living in this fast-paced world, people expect businesses to respond immediately to their questions and queries. And we all know how important one client is and that losing one is never an option. With social media, you can immediately respond to your potential customers, increasing your engagement with them. If your business has a social media account, then you are basically inviting and encouraging viewers to engage in communication with your account. With more engagement, more and more people will patronize your business. People like to post their gratitude online. Social media is really quick on updates and posting that shows gratitude towards businesses. Because of this, people can learn about your business from other people and help it grow. Click here for more further readings on this topic.